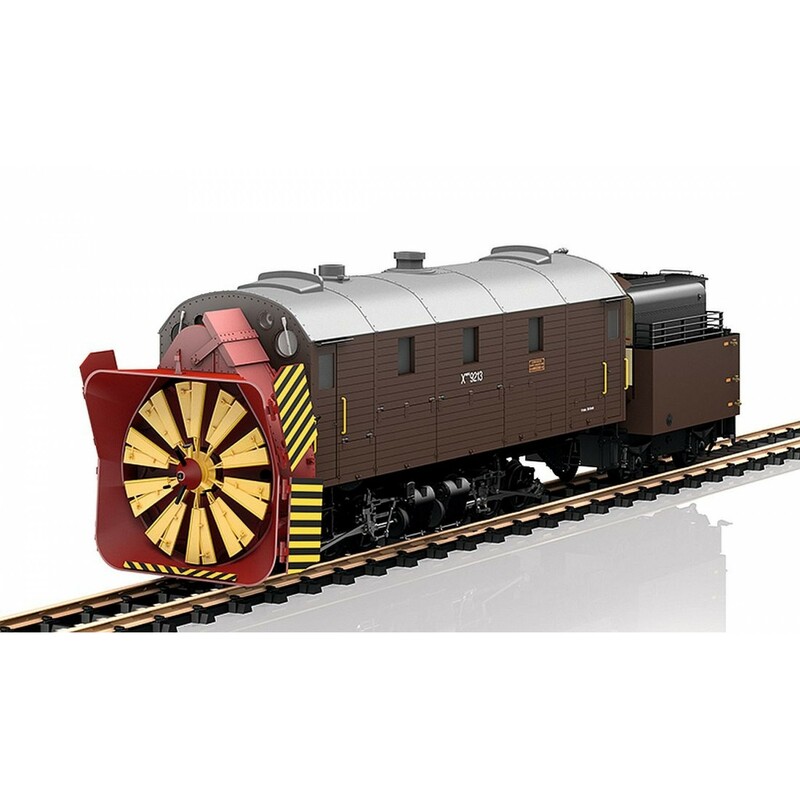 This is a model of the RhB Xrot 9213 steam rotary snowblower. This is a finely detailed model with heavy metal construction and many separately applied details. It is driven by two powerful motors on both trucks. The doors to the cab and the access hatches for the rotary snowblower running gear can be opened. A separate motor powers the rotary blower wheel with movable internal running gear. The snowblower has a manually adjustable ejection chute as well as manually adjustable guide wings on the rotary plow wheel. The paint scheme and lettering are prototypical for Era VI, as the snowblower is an historic vehicle still in use. The snowblower is equipped with an mfx/DCC decoder with many light and sound functions such as headlights with the Swiss light changeover code, firebox lighting, cab lighting, running sounds, a whistle that can be activated by reed switches, and much more. The snowblower has a built-in smoke unit with steam exhaust as well as cylinder steam synchronized with the wheels. Length over the buffers 61 cm / 24".